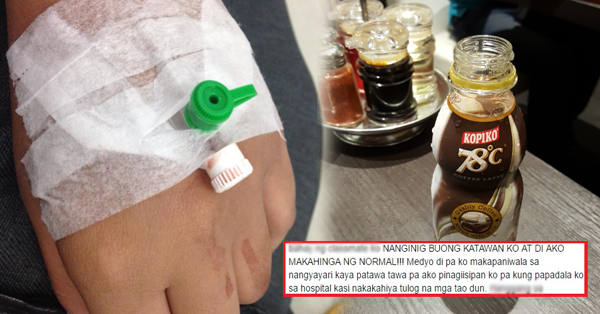 Viral: Girl Hospitalized After Drinking Two Bottles of KOPIKO 78 in One Shot! Last March 19, 2016, Dannica Joyse Alcazar posted her story, after drinking two bottled coffee of “kopiko 78”. According to her, she doesn’t want to mark a bad thing about this brand just because of the sudden event. She is just reminding everyone to give extra care with their bodies and avoid any foods or drinks with too much caffeine. Dannica didn’t expect that her usual hobby of drinking two bottles of coffee while she was doing her works or studying can give her a nightmare. The new product of kopiko 78 can be easily accepted by the people because of its creamier taste, smooth Texture and most people’s choice taste. 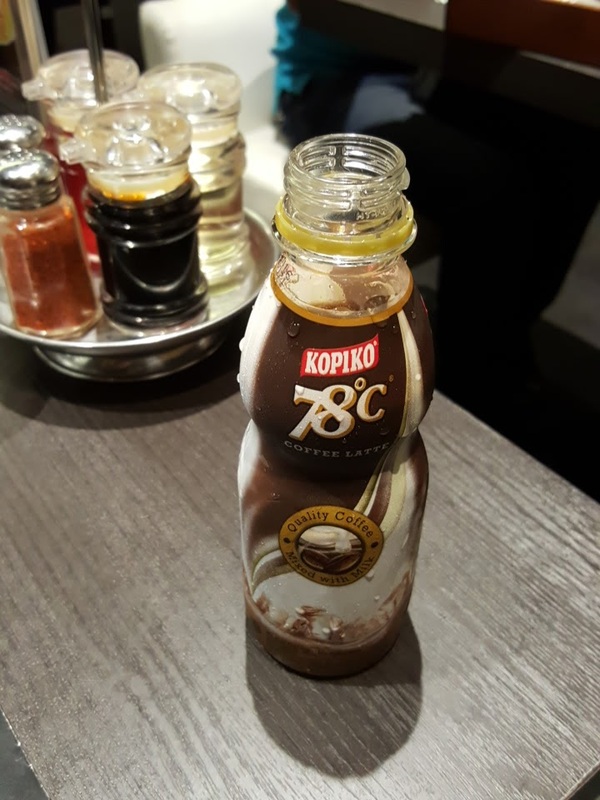 But, this coffee was too extreme. It is better to control your drinking coffee habit, especially when you don’t have enough sleep. Caffeine contains substance that can surely let you stay awake because it will emphasize the stress on your heart so the body will notify and work double to its normal function. 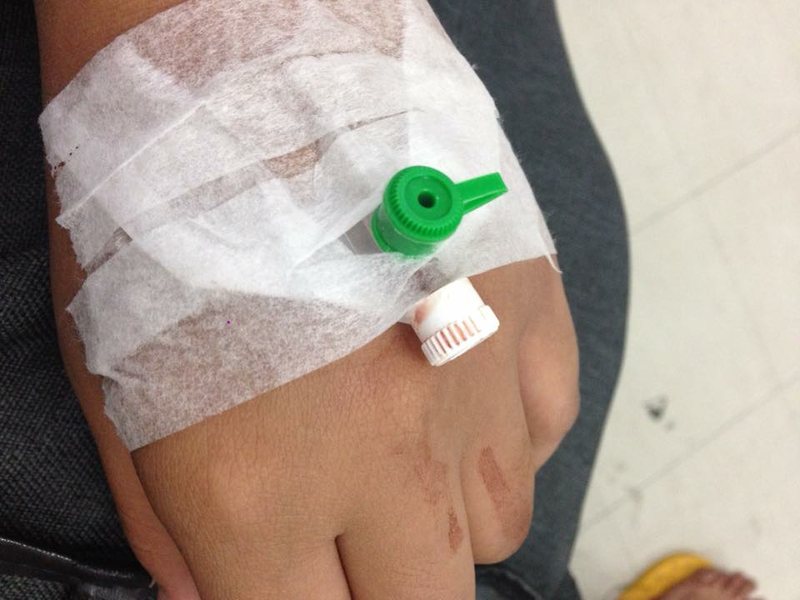 Danica experienced a severe palpitation which leads her to inhale only small amount of air. 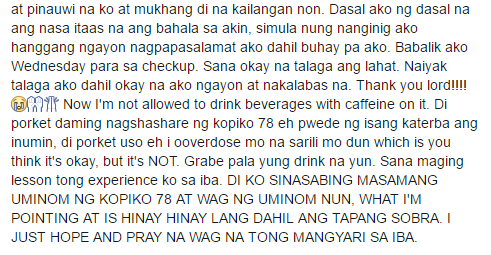 She had to go to the hospital during that moment because of her severe whole body shaking. 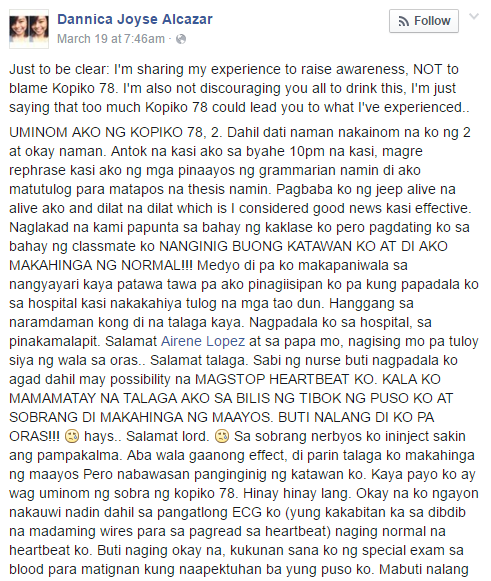 Read her whole story in this article.